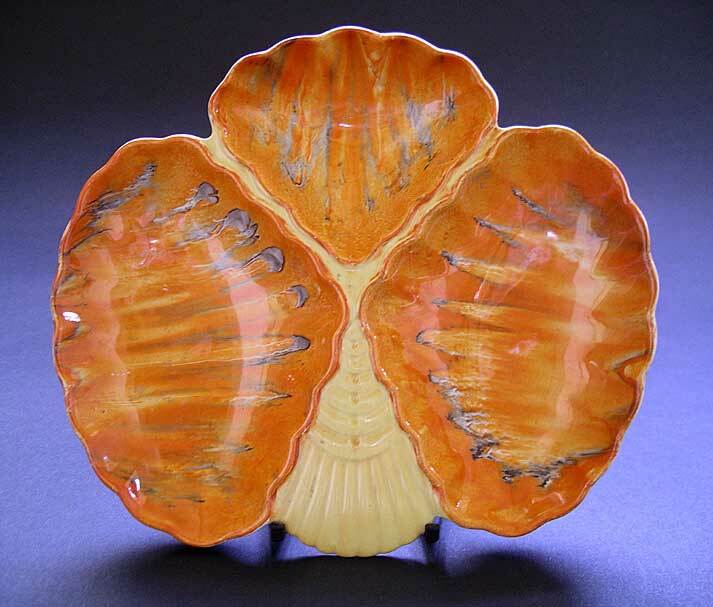 "UK art deco antiques and collectables are mostly ceramic items. 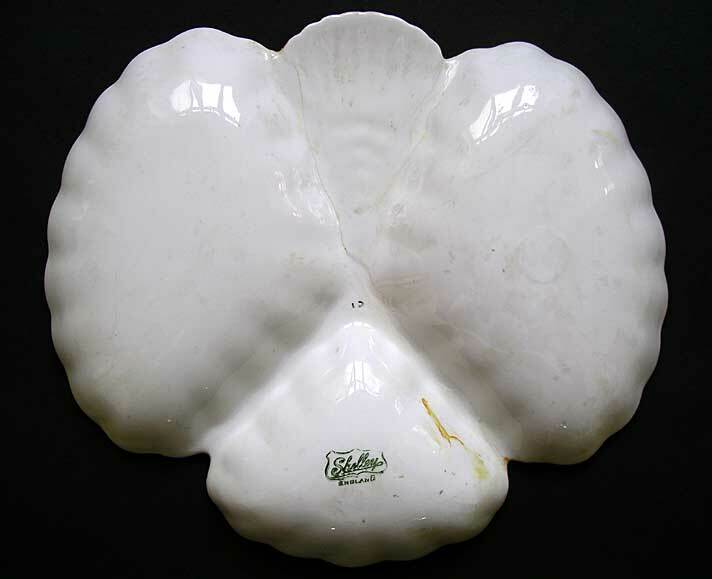 The level of collecting interest continues to grow and exciting pieces like this super wall plaque dish, just keep turning up! Comfortably past the fifty year dateline these once modern times items have become increasingly valuable and expensive as antiques. 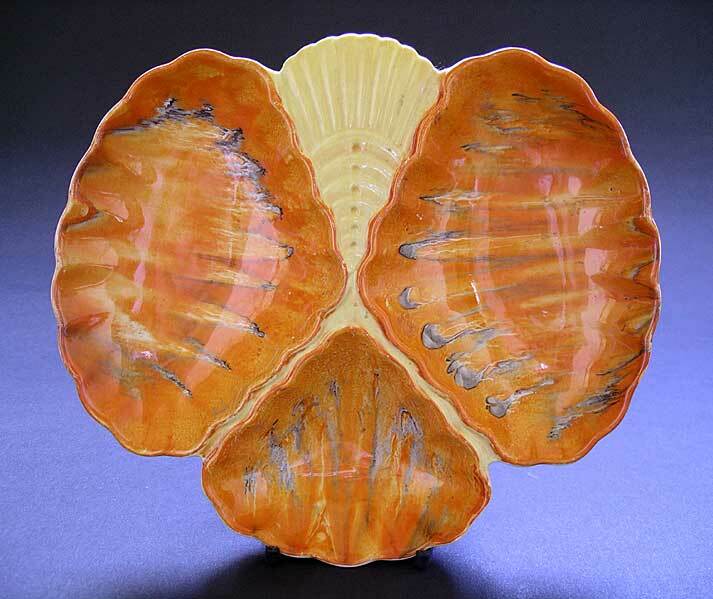 This fascinating 1920s Shell Oyster pattern dish is relief moulded and hand decorated. From the Harmony Art Ware range made exclusively by Shelley Potteries Ltd." Antiques Expert Hamilton Bear. Marks: 1925-40 backstamp to base (illustrated). Dimensions: width 215 mm max. Condition: A wonderful example for decoration and display with good fresh looking enamel decoration. Condition report: clean breaks along potting lines of weakness have been restored. Clearly visible on back but well hidden and difficult to spot from front. Also slight areas of glaze crazing/scratching to rear.